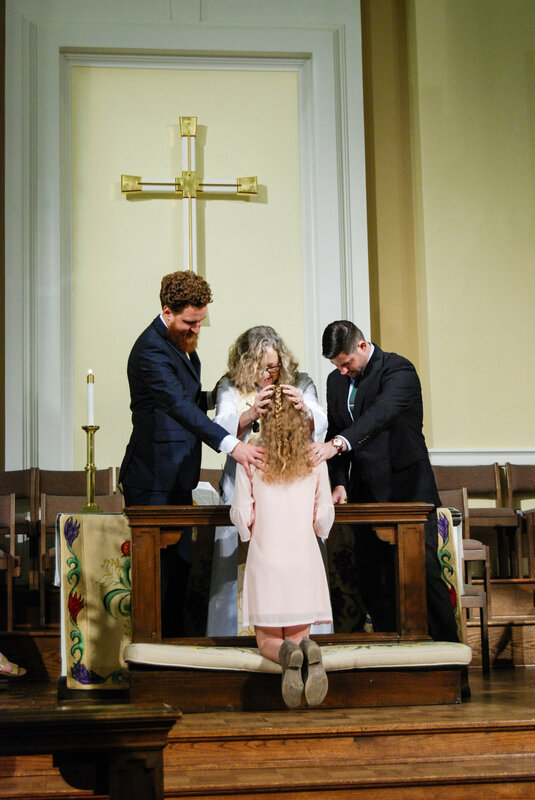 TUMC Confirmation is for all incoming Sixth Graders who want to continue their faith journey and confirm their own faith as a follower of Christ. While this curriculum is for sixth grade we do welcome all youth who would like to join us. Confirmation has begun! This is what our mornings will look like. We will meet outside the Sanctuary at 9:20AM to go over worship expectations, get name tags, and enter worship together for the 9:30AM worship service. Following worship (about 10:30AM), we will get some wiggles out by playing icebreakers, and games on the TUMC lawn until 10:50AM. After games, we will go to the Youth Basement for class until noon. During class, we will ask big questions and work together to discern what it is that God has for us in each conversation. The end goal of confirmation is for each student to be confirmed in their own faith as followers of Christ. Thank you for being you and we look forward to a great year!